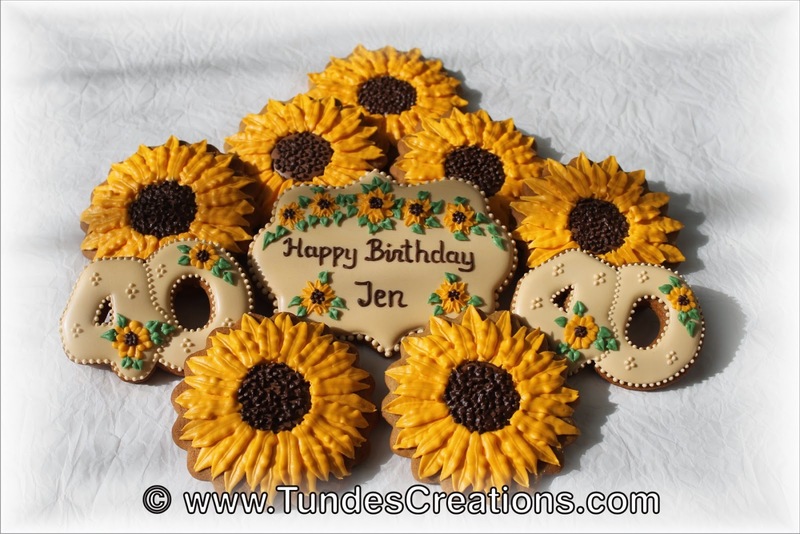 Let me tell you about this sunflower birthday set. My friend asked me to make some birthday cookies for her friends birthday party. 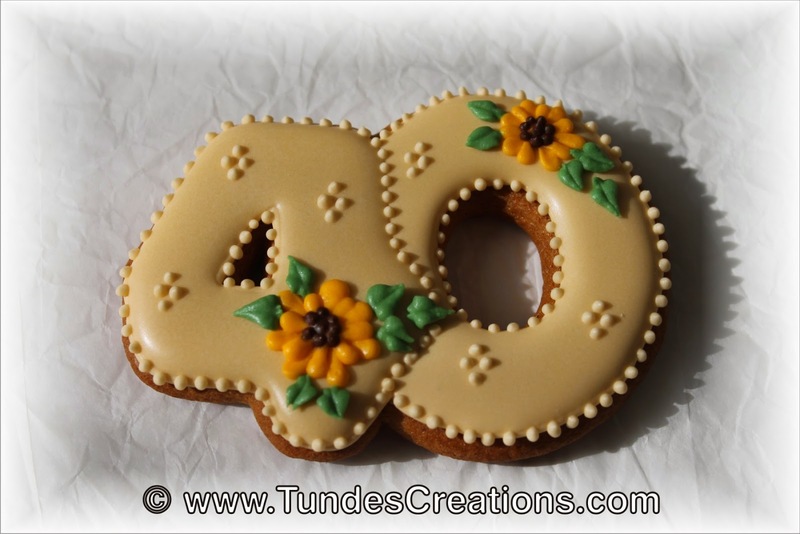 Her idea was to make number 40 with sunflower pattern. To be honest I couldn't have been happier! 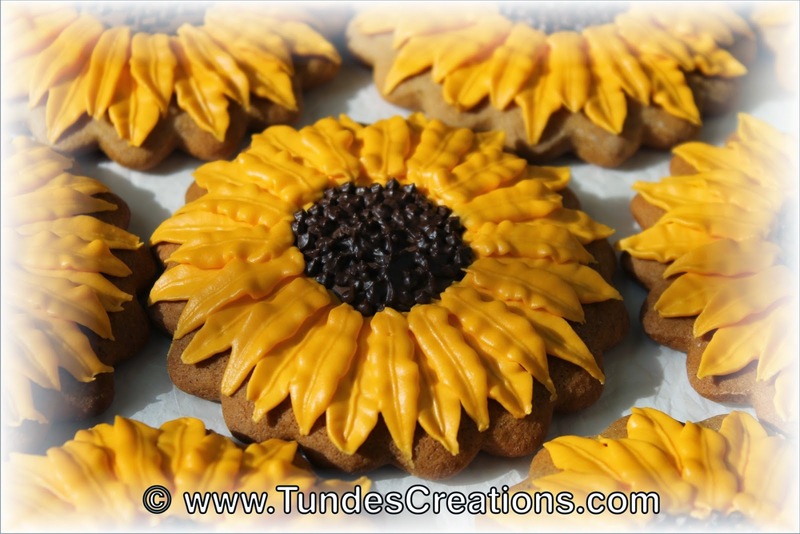 Sunflower is one of my favorite flowers and somehow I never made a sunflower cookie before. So, of course I started with the sunflower. 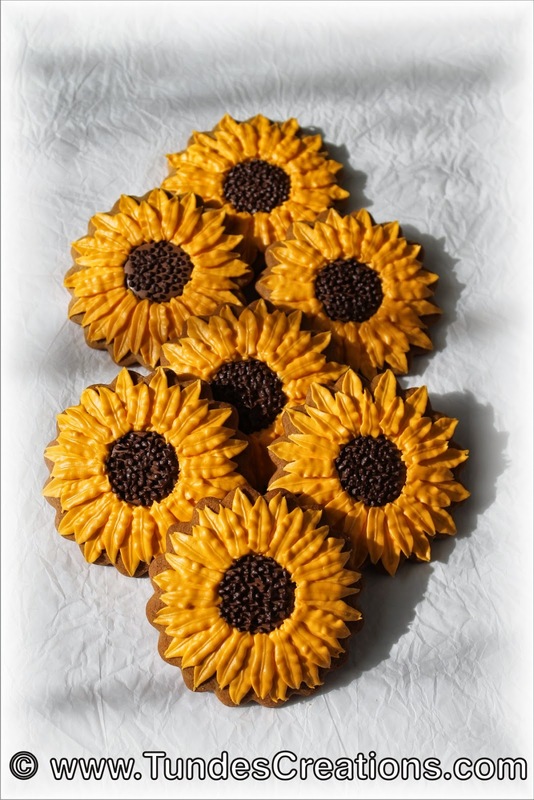 First made a light brown center, than added a row of cheerful, warm yellow petals. I let them dry a little before adding the next row of petals and little dark brown dots to the middle of the flower. Then came the number 40. I did not want them to be bigger, than the flowers. With their soft, dark ivory color they stand out anyway. I added little sunflowers to it to nicely blend in the set. Finally, I love to make all my cookie gift sets personal. This is the best part of giving handmade, isn't it? 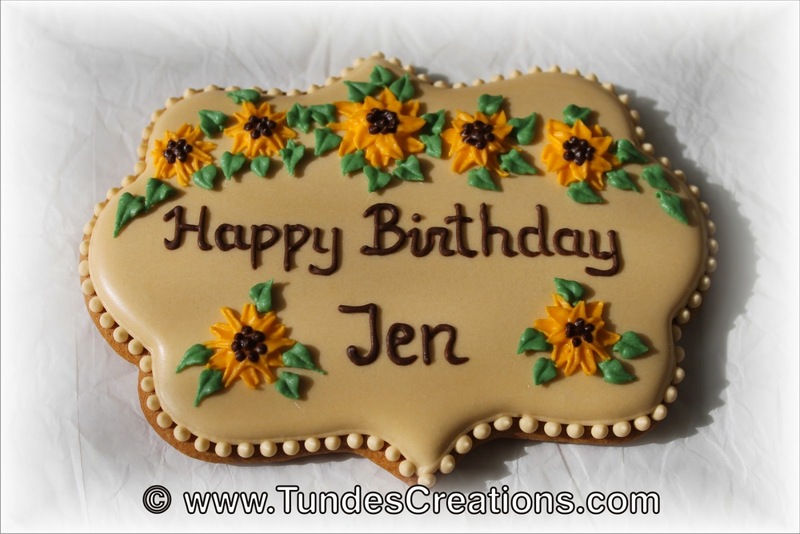 So I made a matching plaque cookie with small sunflowers and the message. Hope you like this set as much as I do!